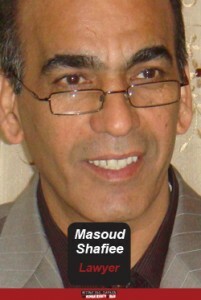 On Tuesday morning, security forces entered the home of Massoud Shafiee, the lawyer representing the recently released Americans, and after several hours of searching his home and offices, transferred him to Evin Prison. “Yesterday at 7:00 a.m., five security forces entered my home with my arrest warrant. 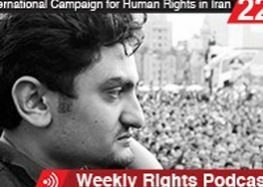 It was strange to see an arrest warrant issued for me, as arrest warrants are usually issued for murderers or fugitives,” Shafiee told the International Campaign for Human Rights in Iran a few hours after his release. “Going to prison is not a problem, it’s the best time to get some rest, something I need. I asked the gentlemen yesterday, ‘why don’t you consider the dignity of the Judiciary? Why would you want to arrest me?,” Shafiee added. “They entered my home and searched the entire house, including the safe, the closets, everything for one or two hours. Even though they were respectful, this act was wrong in essence. They came right after my wife left the house. I guess they didn’t want to upset my wife. Then they asked me to wake up the rest of the sleeping family members. After searching the home, they took my passport and several other things and brought me to my office. There they confiscated the computer and hard drive, documents, the case files of the two Americans, and several other documents and took me to Evin,” he told the Campaign.